Download the printer version here. It is that time of the year again – Winter. This season brings cold weather and days when low temperatures lead to freezing rain, sleet, and snow. Freezing weather brings a different type of mitigation need – the kind where ice is the major culprit. Ice mitigation occurs more frequently and creates greater damage than is commonly thought. Unless we are talking about falling, many people view ice as somewhat innocuous. But it is not. When water freezes, its volume increases by approximately eleven percent (11%). This expansion exerts tremendous force, force sufficient to break concrete or even steel. As important as the initial damage, this is also an area where until the initial problem is repaired, damage will continue to accrue, and compound damages to property. Winter water damage occurs most frequently where you would expect – plumbing. Pipes are especially vulnerable to the damage caused by expanding water found as trapped water freezes. The result of the freezing and expansion many times leads to the breaking of that line whether it is metal or plastic. The water lines that freeze first are usually those directly exposed to severe cold, such as outdoor hose bibs and water sprinkler lines. The second most common would be any plumbing located in unheated interior areas of properties such as in the crawl spaces, attics, and garages. Lastly, would be the areas of the home that have plumbing within the property, but located on the outside walls such as inside kitchen cabinets or bathroom walls and cabinets. Older homes are especially vulnerable to this type of loss in extreme cold weather because of lack of insulation and older plumbing. Make sure all outside water hoses are disconnected from the hose bibs and properly stored away for next Spring. Maintain your home or business’s air temperature at no less than 55 degrees. If your heating system malfunctions or a winter storm causes power outages and it is not to maintain the indoor temperature as in #2, turn off the main water valve and drain the water out of all fresh water lines. If water lines sag or bow, it may be necessary to call a plumber to make certain all of the water is out of the system, especially if the building will be without heat for a lengthy period of time. A plumbing professional may even find it necessary to use compressed air to clear the system of water. If the property has been damaged by wind, inspect the damaged area for exposed pipes and cover them with insulation until the damage can be repaired. Another common problem property owners can suffer in bitter cold weather is that of “ice dams.” It is extremely important during the winter months to monitor roofs during freezing rain, sleet, and snow. When freezing rain, sleet, and/or snow accumulates on a roof, a cycle of melting and freezing occurs. In a perfect world, the snow and ice would melt, flow off the roof into the gutters, and then drain harmlessly to the ground. However, two key factors can interact with this cycle and cause problems: the outside air temperature and the temperature inside your attic. Under the right conditions, the interaction of these two temperatures can result in a “perfect storm” of conditions leading to property damage. The warmer the attic, the more melting will occur. Normally, as stated above, this runoff would harmlessly drain to the ground. However, when the outside air temperature is very low, the temperature at the edge of the roof stays below freezing, causing the water runoff to freeze when it reaches that point. The resulting ice then forms a line, or “ice dam,” at the edge of the roof. As more snow melts, more water reaches the ice dam, where it also freezes, compounding the original ice dam. This cycle continues and the dam continues to increase in size, until the ice dam gets large enough to cause the melting snow to pool up behind. As this pool thaws and refreezes, it can force its way back under the roof shingles, causing them to distort, lift, and possibly tear. The ice which forces its way between and under shingles will then begin melting into the property’s attic. Ice dams are insidious in that not only do they damage your roof and attic with ice, but as the ice comes into contact with the warmer attic air, interior ice melts, causing water damage to the attic, insulation, and ceilings below. In the event a home disaster such as fire, water, or biohazard loss should occur, it is important for property owners to know where to turn. There are specific actions they can take in order to mitigate the damages to their property and we are there to advise them every step of the way. Major Restoration Services is a full service mitigation and remediation firm. We specialize in mitigation and property remediation when a building is damaged by fire, smoke, and the resulting water loss. Our technicians are IICRC certified. We know what to do, what not to do, and how to take care of all of your clients’ needs. We can compassionately guide your customer through this extremely trying time. Remember, regardless of who your customer chooses to mitigate their disaster, it is extremely important they seek immediate help from a professional licensed firm such as ours. The quicker a property is stabilized, the less damage they will suffer to their home and personal property, in the long run. Many of you know Doug Bowles from attending our Continuing Education courses. Doug is an expert in all things mitigation. Please enjoy his advice regarding hoarding and its mitigation. The Holidays are a wonderful and stressful time of year for many of us! Here is some information on how to make it a little less stressful and keep us all a little more prepared! There are many different disasters that could hinder your family fun at this jolly time. However, Major Restoration Services is here to teach you some tips on how to prevent anything from happening in your hectic schedule this season. Even having a small generator wouldn’t hurt! It is important to not only protect your home but to also protect yourself during the holiday season. Don’t take on too many tasks at once and stress yourself out! You want to be calm and coherent so you can keep everything in your home safe and you can stay in control. See if you can take some short cuts or find some easy new recipes for you and your loved ones to try together. If you or anyone you know is struggling make sure you give them the National Suicide Prevention Lifeline number. Just showing that you care could make a difference. They are there 24/7 to take calls and save lives 1 (800) 273-8255. 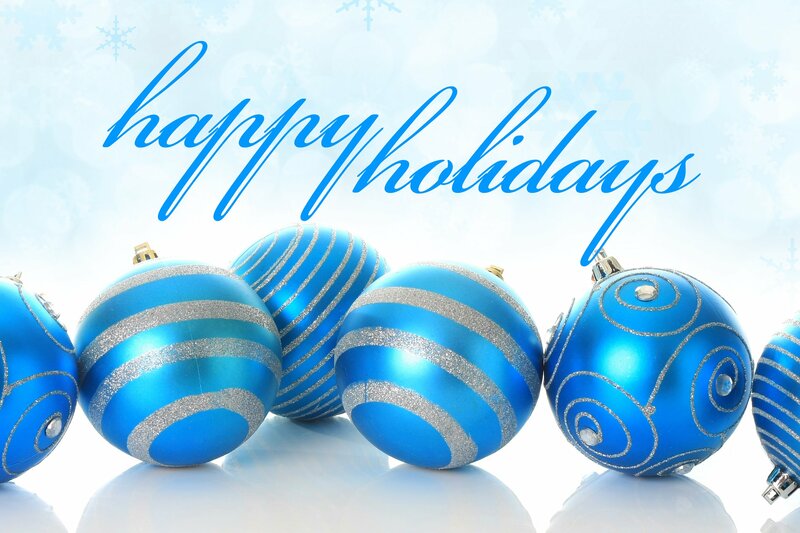 Have a safe and happy holiday season! You can also download the printer friendly version of this Major Reader and keep it close by! http://www.majorrs.com/wp-content/uploads/2015/10/MajorRestorationServices_logo-header.png 0 0 Robyn Allen http://www.majorrs.com/wp-content/uploads/2015/10/MajorRestorationServices_logo-header.png Robyn Allen2015-12-22 20:37:302015-12-22 20:37:30Happy Holidays! Time to sign up for May CE Classes! Get your forms in soon! Download and complete the Registration Form so we can hold a spot for you! Make sure you reserve your spot by May 13th, 2016. Please use separate forms for each person signing up!